In a bowl combine the balsamic vinegar, olive oil, rosemary, garlic, red pepper flakes, and honey. Pour it into a gallon storage bag. Add the chicken and allow it to marinate for at least 2 hours and up to overnight. Rotate the bag occasionally to ensure the chicken gets marinated evenly. Remove the chicken from the bag. Discard the marinade and pat the chicken dry with paper towels. Then season both sides of the chicken well with salt and pepper. Grill the chicken over a medium hot fire for about 10 minutes on each side or until it is cooked through. 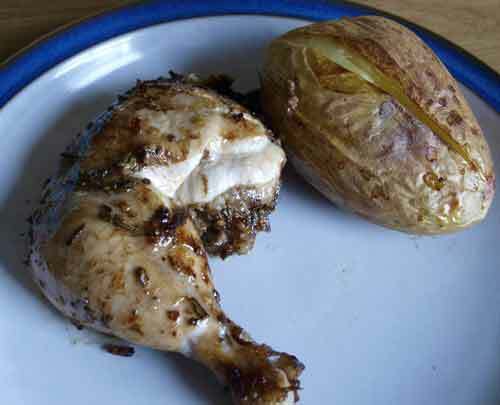 This chicken was delicious, moist and very tasty. I served it with baked potoato and a selection of salad vegetables. 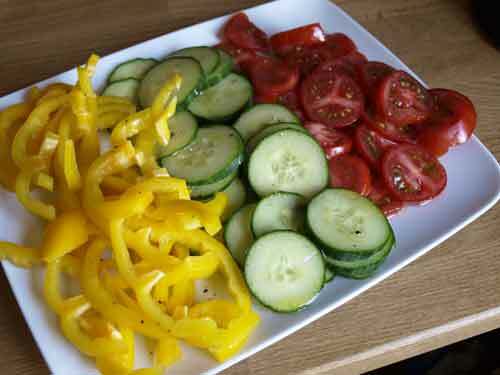 The dressing for the vegetables was a simple French Dressing made using 'Fig Vinegar' that I got when I was on holiday. It is really delicious and quite a different taste, not a taste of figs at all, just a sort of fruity taste, but not as sweet as raspeberry vinegar. 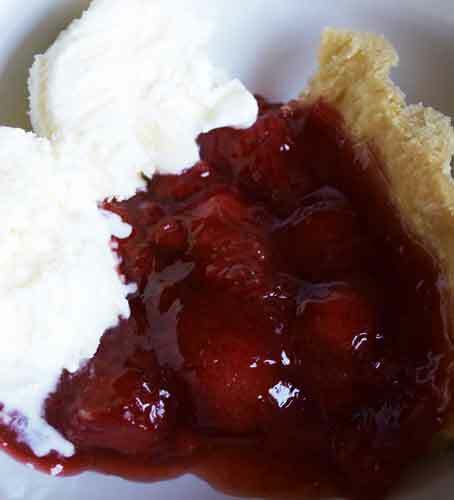 I followed this with a Strawberry Pie, I found this great recipe on All Recipes, it's so easy and the result not only looks good, but also tastes great. Oh yum, this tart looks amazing - you just can't get enough strawberries at this time of the year. The strawberry pie looks amazing Janice. I love that Allrecipes site! I usually just stick to the UK version, but the US one has a few cracking recipes too! Beautiful meal! I love balsamic vinegar. It's so good with almost anything. 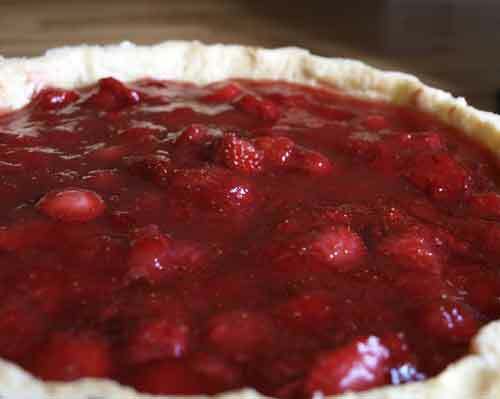 Your strawberry pie looks fabulous...mmm. I wish I loved cooking Janice - I'd be running through to the kitchen right now!